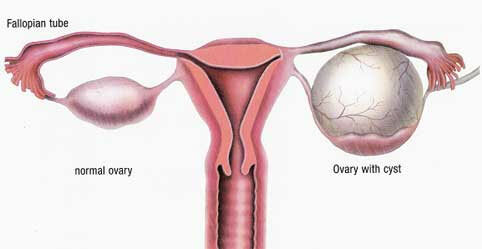 An ovarian cyst is an accumulation of fluid within an ovary. Majority of ovarian cysts are benign. Ovarian cysts typically occur most frequently during a female's reproductive years. However, ovarian cysts may affect a woman of any age. In some cases, ovarian cysts cause pain and bleeding. If the cyst is over 5 centimeters in diameter it may need to be surgically removed. Ovarian cystectomy is a surgical procedure performed to remove benign cysts that are present in the ovary while leaving the functional ovary intact. 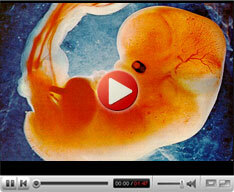 This is crucial for women of reproductive age who intent to have children. While ovarian cystectomy involves the excision of the ovarian cyst from the ovary, oophorectomy is a procedure that involves the removal of the entire ovary along with the attached fallopian tube. A laparoscopic cystectomy is a relatively simple procedure which takes about an hour. Here, the patient is given general anesthesia following which a thin tube called a laparoscope is inserted through several small incisions in the abdomen. Appropriate surgical tools and fiber-optic camera is then passed through the laparoscope to perform the operation. A laparoscopic ovarian cystectomy is a minimally invasive technique compared to other conventional procedures. The idea behind a cystectomy is to remove only the cyst while leaving the ovaries intact. However, in case of very large cysts, the doctor may recommend the removal of the whole ovary. Advantage of laparoscopic ovarian cystectomy includes shorter hospital stay and recovery time, less bleeding and smaller incisions.